Lemberger is a red-wine grape probably originating in the Franconia region of what is today Germany; indeed, on the world stage its commonest name is actually Blaufränkisch, meaning "blue wine of Franconia". Its more common name in American viticulture, Lemberger, arose in Germany because during the 19th century the wine was imported to there from Lemberg, a location in Lower Styria (now a part of Slovenia, then part of the Austro-Hungarian Empire). The grape's history probably extends back into the middle ages, though the first definite mention of it was not till 1862. As the "synonyms" list above shows, it—like many older grapes—has had a myriad of names, but the only other one an American is likely to see on a bottle beside Lemberger or Blaufränkisch is Kékfrankos (the Hungarian version of the name). 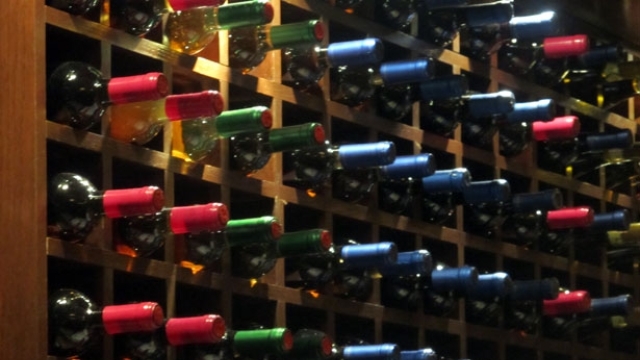 The wine is not a big part of the American wine market, probably for several reasons. One is the multitude of names, all complex for the average American to read or pronounce; and the simplest and most widely used by American wineries making it, Lemberger, is likely too suggestive of the stong-smelling Limburger cheese (to which it has absolutely zero relation). Another reason is that while the grape can make quite good wine, it remains relatively obscure on the world market; indeed, quality wines of this grape in modern times probably go no farther back than a couple of decades. A typical Lemberger is something that doesn't exist, there being two main and diverse styles: one is a strong, full-bodied wine reminescent of some of California's bigger Zinfandels; the other is lighter and softer, reminiscent of a better Pinot Noir. What is common to both styles, however, is a bluish-red color and a somewhat "spicy" nose and taste. The underlying taste elements are typical of good reds, notably dark-berry flavors such as black cherry, blackberry, or red currant— plus that grace note of spiciness. 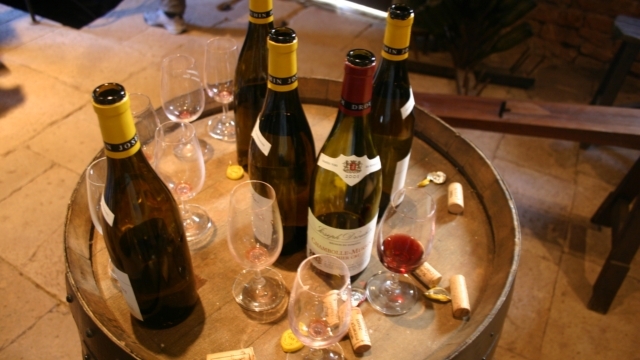 All versions will age, but some are vinified for it and will turn into smooth, almost silky wines, while others, more assertive and fruit-forward, want little bottle aging. Besides eastern and central Europe, Lemberger/Blaufränkisch is vinified in Australia and the U.S., the latter mostly in Washington State. In Europe, Austria is today the leading producer. In its native regions, styles vary. Some differences are attributed to region: Blaufränkisch from Austria's Neusiedlersee-Hügelland region is often said to be "richer and more full bodied", while elsewhere the overtones of spiciness are more pronounced. Austrian Blaufränkisch of the ordinary sort, such as Mittleburgenland DAC Classic, tend to be lighter renditions, and are typically unoaked; wines labelled Burgenland DAC Reserve show greater body and are typically oak-aged. While the wine is made throughout the wine-making world, it is chiefly in Washington State that New World Lemberger is grown (though Australia is apparently starting to ramp up its production of Blaufränkisch wines). In Washington, styles also vary, again ranging from light, Pinot-like renditions to heavier Zinfandel-like versions, on even to fortified wines in the style of port. 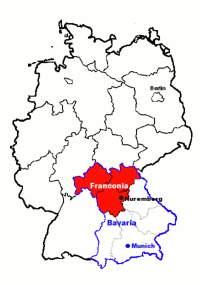 Nowadays, some makers are trying to avoid the false Lemberger/Limburger association by calling their wines from this grape by various proprietary names (such as "Blue Franc"). To the extent that Washington Lembergers share qualities, they are those of being fairly dark in both appearance and flavor (notably dark berries, such as black cherry), with spicy and pepper overtones—in other words, the leading characteristics of the grape. The relative lack of domestic interest in Lemberger/Blaufränkisch makes the wines something of a steal for selective—we emphasize that word—bargain hunters (because better Austrian bottlings can get pricey fast). Factoid: Lemberger has been called "the Pinot Noir of the East" owing to its popularity and reputation throughout Eastern Europe. "In Austria, Blaufränkisch tends to produce deeply colored wines with dark fruit aromas, peppery spice notes and moderate to high acidity. 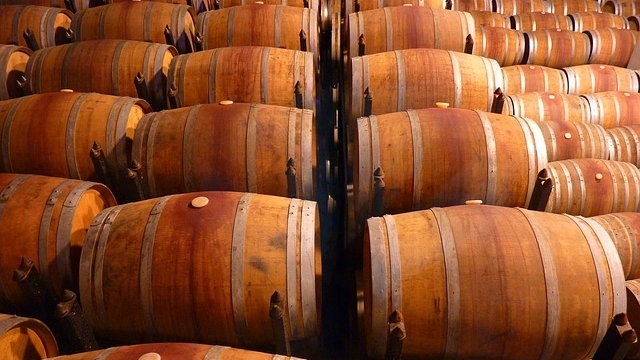 Depending on where it is produced the wine can be unoaked, or spend some time aging in the barrel. The unoaked styles tend to be lighter bodied while the oaked versions tend to be more fuller bodied. In Germany . . . the grape tends to make more light bodied wines with softer tannins than the style typically made in Austria. . . According to wine expert Paul Gregutt, Washington Lembergers are characterized by their 'blood red' color, with light peppery spice aromas and flavors of ripe berry fruit." "The common feature in Blaufrankisch wines from all of these places is a fruit-forward profile with aromas of spiced black cherries. . Classic Austrian Blaufrankisch wines are intensely colored, medium-bodied reds with brooding, black-fruit flavors and a hint of peppery spice." "While Blaufränkisch is hardly a household wine term, it has risen from nothing in 1995 to, well, more than nothing. During that time, growers in eastern Austria, the grape’s ancestral home, have started to take care with the grape to plant it in good sites, reduce yields and stop blending it with other varieties. It was a smart move. . . [I]n non-wine-nerd terms, it’s a grape that delivers in many styles and, thus, could have broad appeal. When I asked winemaker Roli Velich of the Moric winery which grape was the most apt comparison for Blaufränkisch, he suggested no fewer than three: pinot noir from Burgundy, Syrah from the Northern Rhone, and Nebbiolo from Piedmont. I could see the blend of finesse, power and aromatic intrigue that he invoked across the wines that afternoon. . The only trouble with Blaufränkisch is that even though it’s only been a decade-and-half since the grape had trouble selling, now the wines are pricey and difficult to find. [Wine writer David] Schildknecht argued that, like pinot noir, it is very difficult and thus best to avoid making low-priced Blaufränkisch." "Wines from Lemberger grapes are often smooth, rich and approachable. . . Though it’s a wine that everyone seems to love, Lemberger’s fortunes always have been tied to its unfortunate name, a moniker that evokes thoughts of stinky cheese rather than a deliciously smooth and fruity red wine. Today, fewer than a dozen Washington wineries make Lemberger, and acreage in Washington has dwindled to perhaps 85." "The typical palate of this late ripening variety is characterized by deep wood berry or cherry tones, and reveals its characteristic acidity. Blaufränkisch can yield wines with dense structure and prominent tannins. The wines are often impetuous in their youth, but develop velvety facets when sufficiently ripe. Fuller, stronger versions have good ageing potential." "[N]othing scares wine consumers so much as an umlaut. . . The Blaufränkisch grape is grown mostly in Austria, where it makes a spicy red wine that can be graceful yet intense, complex yet tangy and refreshing. Blaufränkisch is made as well in Germany, where it is often called lemberger, which, if you think about it, is really no better than Blaufränkisch, umlaut or not. Even five years ago [as of 2011], Blaufränkisch wines were not easy to find in the United States, and the ones I found I didn’t like much. Many producers seemed to be aiming for weight and power rather than finesse. The results were heavy-handed, stolid wines of little grace and a lot of oak. Without a doubt, things have changed. The turning point for me came a couple of years ago, at a tasting of Blaufränkisch wines that had been made with great care, from grapes grown in cooler sites and with more restraint in the cellar. These wines I loved, and I have been seeking them out ever since. . Our favorites [at a tasting] were beautifully balanced, with smoky, spicy fruit flavors, winning textures and a rippling acidity that made them seem juicy, savory and refreshing. We found a clear continuum from light-bodied, subtle wines to denser, richer wines that in the best examples betrayed no heaviness. Our favorites, especially among the lighter-bodied wines, showed a versatility with food that reminded me of a slightly peppery pinot noir, while the denser versions were a little closer in richness and texture to syrah." "Blaufränkisch is Austria’s champion age-worthy red wine with a vein of acidity and big tannins to boot. They’re often a little harsh when young but Blaufränkisch wines become wonderfully subtle and lush with age. Expect blackberry, tart cherry, and an elegant citrus-like spice in Blaufränkisch wines along with a pronounced burst of tannins in the mid-palate." "Lemberger is a mixed bag. It’s a dark skinned and can have good mouth-drying tannin and spice but it can also make light, wussy wine that’s not that good. It’s grown all over central Europe — in the Burgenland region of Austria, where the wines are called Blaufränkisch and are pretty highly regarded, in the Czech Republic, in Slovenia, in Croatia, and in Hungary where it’s a main component of the Egri Bikaver (aka, Bull’s Blood, a blended wine that can be powerful or awful depending on the producer)." "A Blaufrankisch wine is typically medium-bodied, with a strong, food-friendly acidic spine and sometimes rustic tannins. The nose tends toward cherries and berries, with strong supporting aromas of smoke, spice and black pepper than can turn toward a pronounced gaminess on occasion. In Austria the trend of late has been to wrap it all up with some new French Oak, smoothing out the wine’s mouthfeel, and, in the best examples, rounding out those spicy characteristics into a pipe tobacco and chocolate mélange." "On the warm, gentle shores of the shallow Neusiedlersee Lake, Blaufränkisch reaches such levels of ripeness that it is a serious yet juicy wine, always with a refreshing level of acidity too and quite respectable tannins. This bracing yet ultra-fruity quality in the wines produced by this variety has led some commentators to compare the wines with a fine cru Beaujolais and may explain the name under which it travels in Bulgaria, Gamé, presumably a word inspired by the Beaujolais grape Gamay. . . Today the best examples can be racy, lively red table wines but in another era, in a much darker, sweeter, almost porty form, it was singled out for praise by Napoleon." "This black dark berried grape variety is widely planted in Austria and Central Europe. It produces dark crimson, almost mid-night blue wine of powerful character, with vibrant acidity, firm tannins and zesty fruit flavors of blackberries, red cherries and currants intertwined with mineral notes. In its youth this Austrian specialty is an impetuous deeply fruity red wine with tones of liquorish, which with aging becomes velvety and supple. Today it also can be made in an international style in new oak barriques, reminiscent of Syrah with strong color, tannin and raciness. Beguiling black fruit and ripe tannins and deep bouquet reminiscent of Rhone wines." There are many, many Blaufränkisch wines available, even within our price limitation of $20 or under. Many, though, seem very scarce, often carried by only one or two retailers. Also, critical evaluations are all over the lot, with most critics' lists having little if any commonality with those of other critics. We have winnowed the list down to the following; most are Austrian, but a commonly cited Washington State wine is also included. Nittnaus Blaufränkisch "Kalk Und Schiefer"
♦ Fluid yet mineral and bone dry on the end. I meant to make a previous vintage of this a wine of the week and it is certainly worthy of attention. Very distinctive. Very bright fruit with a suggestion of sucking stones. Extremely appetising and vigorous. 12.5% [alcohol]. But I have similar, almost as enthusiastic notes on previous vintages. 17/20 points. ♦ 2007 vintage: This is a serious and impressive wine. The tannins are dark and concentrated, with firm black fig, damson and berry fruits, balanced with acidity. It is powerful, with all the best qualities of Blaufränkisch on view. 91 points. 2011 vintage: A very quintessential Blaufränkisch, this boasts a light-footed balance of cherry, dark berries, sprightly acidity and medium body in a sleek and elegantly silhouetted frame, with ripe, soft tannins. 88 points. ♦ Fresh, reasonably concentrated, not very complex but has charm and zip. Quite long. 16.5pts/20 (88/100pts). ♦ The "2008 kalk und schiefer blaufränkisch" by weingut hans & anita nittnaus is a lovely deep red wine, dark fruit, tobacco, "kalk and schiefer" means "lime & shale" and the wine certainly has great mineral flavors as well. ♦ Dark, with earthy fruit flavors and a touch of oak. ♦ The winemakers Hans and Anita Nittnaus have a fine reputation and this is a surprisingly good wine from Austria. The Blaufrankisch grape is native to Hungary and is extensively grown in Austria's finest region, Burgenland. This example was young and would have probably benefited from more age. Bright purple in colour, this wine had raspberries and white pepper on the nose. It is said that the palate tastes of beetroot: certainly there was an earthiness the complemented the oak well. Quite zesty with a hint of blueberries on the finish. ♦ But it is in red wines that the Burgenland is slowly making a reputation. Try the Nittnaus Blaufränkisch Kalk and Schiefer (Chalk and Slate), bursting with violet pastilles, cinnamon, raspberry, cassis and black pepper. This was one of the best Blaufränkisch-based wines I tasted during my entire stay in Austria, and it deserves a place at your table. ♦ Bright blueish crimson. Dusty, warm sackfuls of curry spices on the nose and then bittersweet berries on the palate. No shortage of character! ♦ Tannic, red fruits and a firm structure characterize a wine that offers spice and wood as a backdrop. There is power here, partnered with elegance. 89 points. ♦ 2008 Heideboden - a vineyard dominated by gravel and humus, though the wine seems to reject these conditions, and is instead quite simple, bright and fruity, though still nicely dry. ♦ [I]t smelled like a clump of violets growing in damp soil and may have been the least typically Austrian in its exuberance and lighthearted take on the grape. ♦ Luckily, a few under $30 bottlings give some sense of blaufrankisch’s new wave: . . light, fresh, juicy 2008 Paul Achs Heideboden . . . .
♦ Tart fruit flavors, spicy; a bit tannic and closed. ♦ Color: Clear garnet. Nose: Comforting, dark cherry, plum, rose, tar, black licorice, dark chocolate. Palate: Big, mouth filling, dry cherry, edged with tar, plum, and dry sage, a lot of fruit front palate, acid on the gums. Very consistent over the first hour, the acid and tannin integrated well and expressed a plush palate with a long finish. A good match to the savory dinner of slow cooked steak with carrots, celery and mushrooms. Day two: Earthy cocoa, currant, cigar box on the nose. Candy cherry on palate, not sweet, dry but with that candied intensity. Smooth drinking, still dry on the gums, fine tannin, luxurious mouth feel, medium light body. If I didn't know better I would have guessed Cabernet Sauvignon. Skip the food, on day two this wine screamed drink me. Thoughts: The Kiona Lemberger was very good at opening and a good companion to the dinner I prepared. If you have wine leftover, you will absolutely enjoy it the next day. Drink today and over the next 5 years. Strongly Recommended. ♦ Classic aromas of strawberry, dark chocolate, black pepper and cedar include huge notes of clove and horehound. On the palate, it’s surprisingly big with black cherries and bittersweet chocolate, backed by strawberry/rhubarb compote, juniper berry and lime juice. ♦ Lemberger, also known as Blaufränkisch, was planted here in the 1970s—the winery believes it was the first commercial bottling in the country. This is a seriously good wine, worthy of special attention. It could be mistaken for a particularly fine country wine from Italy, southern France or Spain, with its old vine complexity, red and blue fruits and whiff of tanned leather. 90 points. ♦ This is a rich wine, similar to a Cabernet or Merlot, but with a spicy finish in the background. Aromas of blackberries, pepper and cloves. Mildly tannic with a velvet mouthfeel. It was aged in American and French oak. This wine will pair well with pasta, roasts and grilled meats. Outstanding now, but this wine will benefit from additional bottle age of 3-5 years. ♦ This lemberger gives a hint of blackberry on the nose, with a promise of more to come. On the palate, the first thing to hit is loads of black pepper, followed by raspberries. As it unfolds in the glass, the raspberry turns full bore to blackberry, pepper, and spicebox, including clove and cinnamon. Moderate tannins, nice balance and acidity; the finish goes on for 30-60 seconds. ♦ The 2005 has a clear, deep maroon color and a powerful nose of dried fruit, some cranberry, spice, a little mushroom, and alcohol. The sip starts out with a tart dark-berry profile, but is slowly overtaken by a black-peppercorn backbone that eventually consumes the finish. The spice comes on like an old dam about to break – a few drips here and there, then a deluge. The body is a shade lighter than medium, the tannin is moderate and well incorporated. The Syrah/Shiraz drinker will particularly like this one. It’s just got a nice rounded dark berry flavor with some pep in its step. Hard not to like. Of my list of seven ‘standouts’, this is the standout so far. ♦ Kiona is certainly among the best producers of Washington lemberger and it is no doubt a result of the respect that is given to the grapes in the vineyard and the juice in the winery. [Winemaker Scott] Williams even treats his lemberger to several months in oak barrels, giving it a bit more complexity. His 2001 version is bursting with tart red berry fruit flavors and real zingy acidity. If you serve it just a bit cooler than most red wines it really brings out the freshness. ♦ The Kiona Lemberger was, not surprisingly, very fruity. It had flavors of blackberry and blueberry (think blueberry syrup, not fresh blueberries.) As the evening progressed, it began to taste a bit like an Ocean Spray Cran-Something Cocktail which sounds bad but wasn’t. This was a very tasty wine. ♦ The 2005 Kiona Lemberger is a fantastic take on this popular Eastern European grape. Kiona was the first winery in the US to plant Lemberger back in the 1970s and they’ve been rocking the stuff ever since. This particular wine sits somewhere between a Cabernet and a Merlot with flavors of dark fruit like blackberries and cherry. This silky smooth wine also has a killer finish (how long the flavors stay in your mouth after you swallow). ♦ 100% oak aged Red Mountain, this wine has prominent aromatics of dark fruit and plum, with hints of spice and leather as a backdrop. A gorgeous deep color leads to a nice, drinkable medium mouthfeel with a taste of tart pomegranate or cranberry and a bit of spice on the finish. 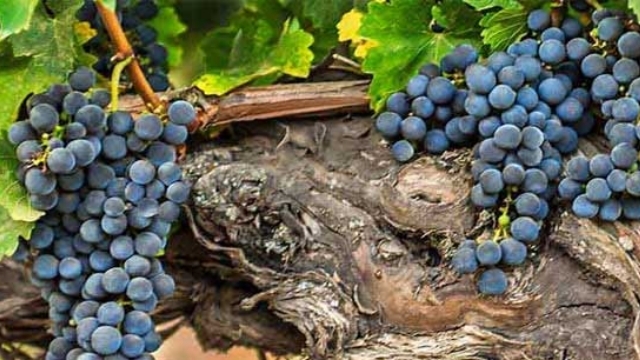 ♦ A perennial best buy is the varietal Blaufrankisch from the Carnuntum's Walter Glatzer, an organic producer whose wines seem to reflect an ever greater confidence in and awareness of the potential of his vineyards. In 2009, the pepper and earth-scented Blaufrankisch offers flavors of beef stock, leather, and darker fruits. There is remarkable distinctiveness, purity, and balance that make it simply impossible to resist a second sip! With air, the wine adds dimensions of cedar, licorice, and a more complex melange of spices. This is a producer who deserves every discerning consumer's ardent attention, as Glatzer's wines offer much sensual and intellectual satisfaction at exceedingly reasonable prices. 89 points. ♦ Pepper and spice notes accent this soft, ripe and full-bodied wine with forward black-fruit flavors. It exhibits typical Blaufränkisch characteristics of leather and pepper to go with the fruits, but this rich wine is not for aging. Drink now. Screwcap. 87 points. ♣ Wine Spectator (28 February 1998), 87 points. ♦ A touch reduced. A touch of bonfire smoke. Nice, ripe, solid black fruit beneath, rounded with a sense of plum and cherry acidity. 12 months in used barriques. 87/100. ♦ The Glatzer Blaufränkisch 2007 offers a glowing medium ruby hue typical of the wines; despite their air of intensity and earthiness, the colors remain pleasingly moderate yet radiant. . . The rooty, earthy bouquet, definitely a child of the loam, is characterized by piercing slate-like minerality, notes of briers and brambles, blueberries and mulberries. In the mouth, the wine is warm and spicy, smooth and mellow, like an autumnal punch, and bursting with flavors of red and black currants and more blueberries. There are no edges here, except for a tingling backbone of clean acidity; the finish brings in hints of nettles, dry leaves and cloves. Alcohol content is 13 percent. Very Good+. ♦ [T]here are always some apparent exceptions to even a well-founded generalization, and . . . the ones with which I am most familiar that succeed in a fruity, forward, relatively reductive style [include] Glatzer (from the same Carnuntum region wast of Vienna). ♦ Plenty of smoky, dark fruit flavors but a tad oaky as well. ♦ A rustic nose, with blueberry flavors. Finishes short, with acidity that’s on the edge of too much. ♦ The 2010 IBY Blaufrankisch Classic begins with a really wonderful fruity aroma with tons of berry and a little baking spice. The wine also tastes very fruity with a plethora of berry flavors -- mainly cranberry, red cherry, blueberry and blackberry along with some pepper and spice. This is a lighter bodied example of the variety and might even be good slightly chilled. It ends with more fruit and a nice medium-long finish. Taste Rating: 8; Cost Rating: 5; Overall Rating: 7.3. Recommended Buy. ♦ This wine revealed tart red berries, some blue fruits, and a little bit of herbs. There are some notes of pepper and spice. The prickly acidity enlivens the wine. There is a good aftertaste. This is a refreshing wine that may be drunk in the near term though the back label suggests it will age for 3-6 years. ♦ Earthy, pleasing flavors of berries and minerals with a touch of oak and earth. ♦ Appropriately, this blaufränkisch smells ummmm…. blue. Like blue violets that is. It’s very floral on the nose and, dare I say, delightful. The floral aromatics are backed up with spicy berries. In the mouth, it’s a nice, medium-bodied wine, offering raspberry, white pepper and plum flavors. It has a touch of tannin, giving some texture to the mouthfeel. The finish is medium in length with berry, mushroom and salty mineral flavors. This is a very fun wine. ♦ This is fresh and easy to drink, its bright red fruit flavors held in place by silky tannins and taut, racy acidity. 89 Points. ♦ This is certainly classic Blaufränkisch, showing an herbal character, plus notes of ripe red plum and beetroot, with a firmly tannic edge. The wine is already in balance and can be consumed now. Screwcap. 87 points. ♦ The 2009 IBY Horitschon Blaufränkisch Classic lulled us into submission with its soft, yet energetic, juicy raspberry flavor, and delighted us with its very approachable velvety-smooth tannins. If you’re a fan of Old-World Pinot Noir and have never tried an Austrian Blaufränkisch before, this ‘Classic’ should sing a sweet tune for you! 3 Stars out of 4 for the 2009 IBY Horitschon Blaufränkisch Classic. The back label suggests decanting this wine for 0-3 hours. We drank less than half the bottle on the first night and put a piece of Saran wrap and aluminum foil over the decanter opening. On day #2, it was even better! ♦ This wine is 100% Blaufrankisch sourced from 3-30 year old vines. It was aged for seven months in large Austrian casks. Tasted over two nights there were brighter black cherry fruit with a good core of fruit running through. The flavors were a touch tart at first with mild notes of pomegranate and citrus. With air a hint of blue fruit came out and the wine became chewy. There are a couple of likely candidates; we chose the one with slightly greater availability, the Gernot and Heike Heinrich Alter Berg Blaufränkisch.